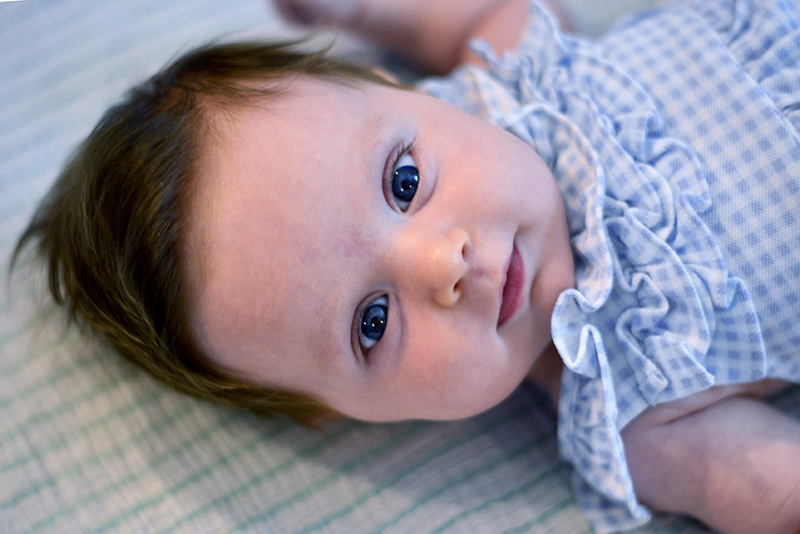 I can't believe that it has been three months since we welcomed Charlotte Florence. It wasn't easy for me to set everything aside so that I could focus on the end of my pregnancy and the beginning of Charley's life. I am so grateful to have been able to do so, as these past months have been a gift. When I had Doodle, I was still working 9-5. It was a new position for me, so I didn't qualify for FMLA. Fortunately, the organization I was working for had a modest maternity leave policy and so I was still able to take some time. Six short weeks. When I went back to work I was still physically healing, none of us were sleeping, we were still struggling to breastfeed, and she was just so... tiny. I remember so vividly when I dropped her off at daycare on my first day back at work. She looked like a doll in her carseat. Her arms were stiff and movements rigid. Her fists were clenched into tight little fists as she slept, still startled and fighting her entry to the world. She wasn't even smiling yet. She could hardly see. She was still so fresh. With Charley, I wanted to make sure I had time to heal. I also wanted to make sure that we had our time together in those precious early weeks. I wanted to be the one there to feed her, to comfort her, to ease her gently into life with us. Almost three months later, I couldn't be more grateful. There have been challenges, of course, but they have been so overcome by even the smallest triumphs. What a privilege it has been to be able to just sit and observe. Charlotte's smile is warm, her eyes bright and eager. Doodle was always a goofball - willing to do anything for a laugh, even as an infant. Charley is just happy to be happy. Sometimes I'll be feeding her or holding her while I'm talking, only to look down and find her smiling from ear to ear. Her trick is to grin at you until you notice and return the gesture. She's more laid back than Doodle, who always wanted to be in the middle of everything all the time. Charley's content to just hang out and see what she sees. A friend joked that she arrived late because she's a Pisces. Going with the flow is in her nature. And now I'm ready - ready to write, to shoot, to be on the mat. I never did sit still well, but that's okay. It's all for them anyway. Let's see what's in store.